Wayne, Pa. (April 5, 2018) — The latest in medical compounds and tubing for medical device applications will be featured by Tekni-Plex business units at CMEF Spring, April 11-14, Shanghai, China, Hall 5.1, Stand S10. 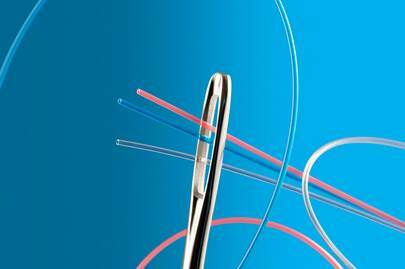 Natvar, a global supplier of precision-crafted medical tubing, will be discussing its full line of tubing solutions including a microextrusion alternative for neurovascular interventional therapies and surgical applications. The new micro-tubing capability supports the growing need for highly-engineered materials, including tight tolerance microextrusions, for use in emerging procedures. Natvar will also be discussing its globally-available silicone extrusion tubing. Silicone extrusions are typically used for catheters, feeding tubes, drug delivery and peristaltic pump applications. Colorite, a leading producer of advanced medical-grade compounds, will be featuring its Cellene® thermoplastic elastomer compounds which are suitable for a wide variety of medical devices, as well as packaging and other regulated markets. Cellene® compounds are formulated to be silicone, latex, phthalate, halogen and PVC-free using FDA-compliant raw materials to meet USP Class VI and ISO 10993 standards. The Natvar and Colorite business units are supported in Asia with a new 140,000-square-foot (13,000-square-meter) manufacturing facility in Wujiang District, Suzhou City (Jiangsu Province), China, located near Shanghai. The facility features three Class 100K cleanrooms to accommodate medical-grade tubing and components production plus one Class 10K cleanroom that will produce pharma-grade tubing. PVC compounds and tubing produced by this facility are in compliance with CFDA GB15593.